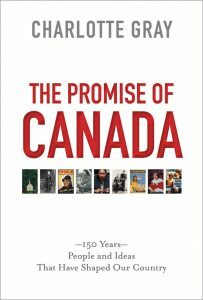 Charlotte Gray’s book to celebrate Canada’s sesquicentennial features nine notable Canadians, as well as a final chapter that surveys contemporary Canadians who are shaping our country. There are some surprising inclusions, such as Mountie Samuel Benfield Steele and politician Preston Manning. Missing are chapters on a hockey player (any one), Terry Fox, Pierre Trudeau, and Sir John A. Macdonald. As a British immigrant, Gray is perfectly placed to take an outsider’s look at her adopted country. For each person she has chosen, she makes a compelling argument for their inclusion and the lasting impact they have had in shaping Canada. Even better is that she does so in such a lively and vivid way that even readers with a passing interest in any one of her subjects will be quite convinced of the validity of their inclusion. The moulding of the Canadian psyche has been a slow process — one that’s still incomplete. To this day, ask any Canadian what defines a Canadian or Canada, and you’ll get plenty of waffling and 100 different answers. Gray’s book offers insight through the stories of an artist, a writer, and several politicians — but none of the usual suspects. You might still not be able to define succinctly what it is that makes Canada great, but you’ll have a better chance once you’ve read The Promise of Canada. If you’re interested in defining Canada more clearly on the country’s 150th birthday, then look at A Number of Things: Stories About Canada Told Through 50 Objects by Jane Urquhart. Following his 2015 memoir about conservation efforts in the Congo, Canadian writer Deni Ellis Béchard turns his talent to war fiction. 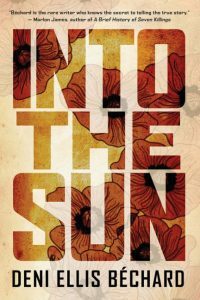 In this expansive novel set in Afghanistan 10 years after 9/11, Béchard masterfully weaves the stories of four Americans, a Canadian, and an Afghan boy to shine an unforgiving light into the world of expat communities in war zones. In the book, characters run from their past, while searching for a future and a meaning to life in an environment where death, danger, and betrayal are prevalent. An undertone of violence and a sense of cynicism for the inherent goodness of humanity permeate this perceptive, meaty novel, richly sewn with big ideas, but which provides no clear answers to questions of right and wrong. 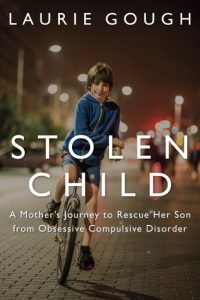 Wakefield-based writer Laurie Gough’s straightforward and eloquent style quickly draws you into this memoir about her son’s battle with obsessive compulsive disorder. Even for those with no ties, this is a beautifully written, touchingly honest tale about one family’s struggle with severe ill health. If you like this style of intimate storytelling, try I Hid My Voice by Parinoush Saniee. A fictive tale of an Iranian boy who is mute, it is also the story of women in Iran. Powerful, moving, and profoundly sad, it’s a glimpse into a deeply foreign culture. Alexandre Trudeau has written an eloquent and accessible book on China for the uninitiated. Trudeau’s acutely observed and poetic tome offers a portrait of a complex and confusing country seen through the eyes of rural farmers, urban sophisticates, migrant workers, and others, including artist Ai Weiwei. 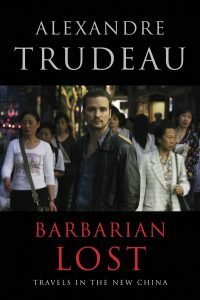 Trudeau’s observations and commentary are often illuminating; his chatty tone makes for an easy and enjoyable read while painting a picture of this vast land through history as it confronts the challenges of the present. It’s a lesson in contradictions. Canadian historian Ross King brings long-dead artists to life with his vivid portraits of geniuses such as Michelangelo and Leonardo da Vinci. Now he has turned his painterly eye to Claude Monet and his famous Water Lilies series of paintings. 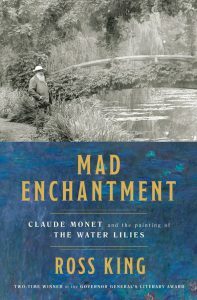 Lively, entertaining, and packed with plenty of detail, Mad Enchantment paints, in glorious technicolour, a verbal picture of the most-loved Impressionist painter.